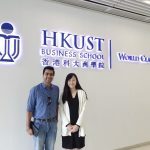 Keshav Aggarwal, now an ISB MFAB student, is a graduate from London School of Economics and joined his family business right after his graduation. He took ownership of complete operations of the manufacturing plant, focusing on introducing new technologies and methodologies to improve the product and process quality. On this journey, with several plant improvements and initiatives to his credit, he realized the need to get formal education in family business and entreprenuership. Then is when ISB MFAB happened, and here is his take and insights into the program for all you MFAB aspirants! Why did you select the ISB MFAB program? After working for 7 years in my family business, I did not want to take a break of 1 year and go for a regular MBA program. 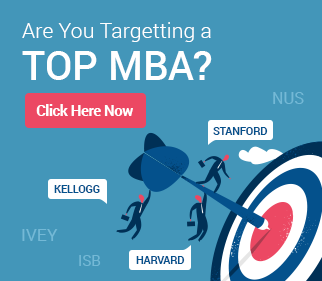 In my view, if I did a regular MBA I would not have been that successful at applying my skills (what I would have learned) to my business considering the nature of ISB MFAB compared to regular MBA program. The structure of ISB MFAB program, wherein one needs to attend the classes in the every sixth week allows me to apply the learnings from the course whilst I am away from the campus. This way I am also not away from work, as well it allows me to apply what I have learned. 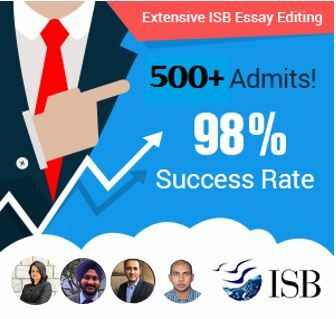 How has your experience preparing for the ISB MFAB admission process? Personally, I found the BAT test quite rigorous and equivalent to any aptitude test. I used the study material from Gyanone, as well as I took help of GMAT Material. The BAT course content focuses more on certain parts of GMAT, instead of focusing on the whole GMAT course. Those who had taken the GMAT before found the test to be comparatively easy. Besides, the application itself is very detailed and comprehensive. In my opinion, it contains all the detail a candidate will like to convey and also all the information from the examiners point of view. For my application I focused on the things, which I have implemented in my business and why I think MFAB suits my profile. 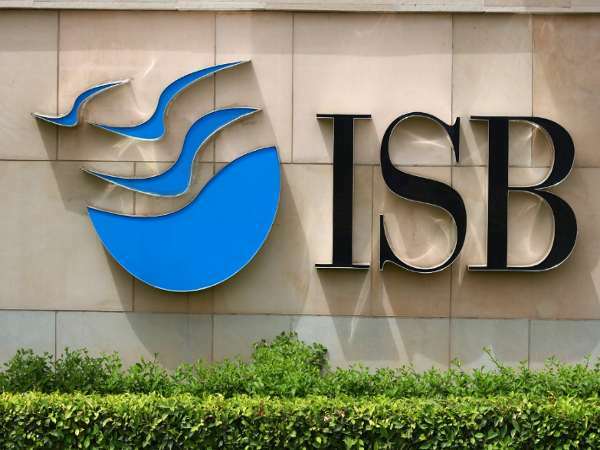 How was the ISB MFAB interview process? Few days before the ISB MFAB I was quite nervous as to what the panel would ask. After speaking to an alumnus, he suggested me to have good knowledge of your business. At the time of the interview, there we three senior people from ISB in the panel. The interview went of well, and I must say that the panel also made feel comfortable. Though in the interview, the panel grilled me about my business. It was a 50 minutes long interview, but according to me it varies from student to student. There are some students in my batch whose interview lasted for 15-20 minutes. But on the whole I believe that if an applicant has a good knowledge of his/her business he will go through. What have been the learning’s from the ISB MFAB program till now? Till now, I have attended only one term of the program. But I have made friends with an excellent set of peers. Everyone is from different parts of India, and from a different industry. So you can learn from their experiences, and make some vital contacts. Besides this academically, in the first term they taught us financial accounting and business analytics. Being not from an accounting background, later on I was able to relate to what was taught. The professors are from Top Notch University, our business analytics professor was from Kellogg school of business. Though quality of the deliverables from the professor may vary, but the overall experience (lecture notes, books, evaluation) is excellent. Experience till now has been great. The faculty, infrastructure, facilities they provide are of the top notch quality. Their study portal – LMS is excellent. All the submission of group/individual are done on the LMS portal. They are very prompt with their evaluation. Till now we have completed one module of Business Analytics, and the institute gave us the evaluation within 7 days of completion of the module. Further, they have excellent recreation facilities. They have swimming pool, gymnasium, squash court and extra. But the thing is that when you are there, you do not get the time to use these facilities. The one thing which I regret is that, they do not have any office hours with the professor though the professor is available to discuss during the break. 6) Skills useful in family business? I certainly think that the skills imparted in the program will be useful in the family business, but one should also be proactive and take the initiative. If one thinks that just studying whilst he/she is in the campus, the program will be useful then I think this may not be the case so. Whilst the student is away from the campus, one should try to apply to his/her business what he/she has learnt. Check out details on the ISB MFAB Application Review and BAT Preparation service.